Leila is a textile designer and illustrator. 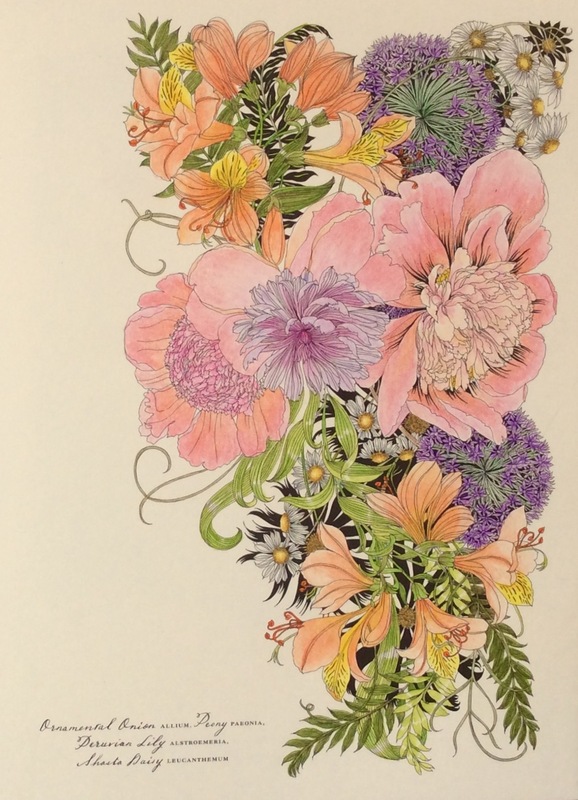 She says that her inspiration comes from the English countryside and flower markets, Victorian etchings, and "a love of bright, vivid colour." 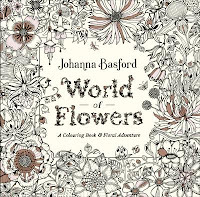 Who will love it - those who enjoy colouring botanical images, those who like colouring beautifully drawn images and those who want to perhaps display their colouring. 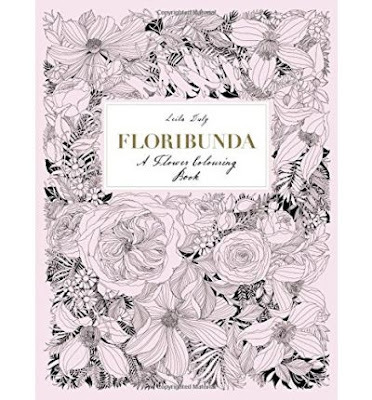 Comment: If there was an International Colouring Book Award (and I wish there was one), this book would be my pick. Yes, I know it's only May, but I can't imagine any book surpassing this one for some time, for production quality and artistic beauty. Drawing: When you feel really pleased with your colouring, it's a sign that the quality of the drawing is very good. 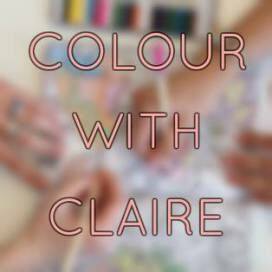 The artist helps to make your colouring look good by the way they give the image flow, the shading hints on where to deepen your colours and the overall pleasing composition. 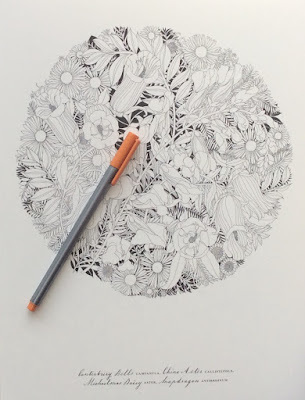 Look at the balance of these drawings and the beautiful arrangements of twining leaves with flowers nestled in. 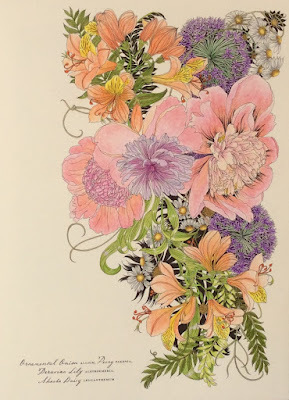 The last book that I reviewed that made me feel pleased with my colouring was Po Drugiej Stronie Snu. There are twenty images to colour in this book. They are a mix of circular or posy designs, loose, square designs and rectangular shapes. The images include subtle snippets of black background which is a genius touch to make your colours pop, and to give the image depth. Line length is quite fine with broader lines in shaded areas. Layout and Paper: When I first opened this book I audibly gasped at how beautiful it is. Look at those lovely flowers on the inside cover; a reference to some of the flowers drawn in this book. The inside back cover has more examples. 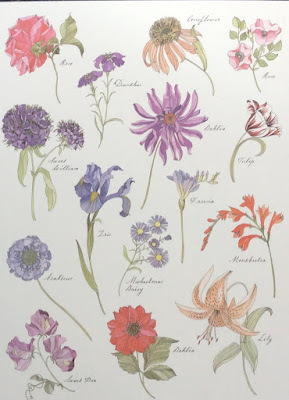 As always, I like to be able to research my colouring subject and there's plenty of scope to research the flowers here. 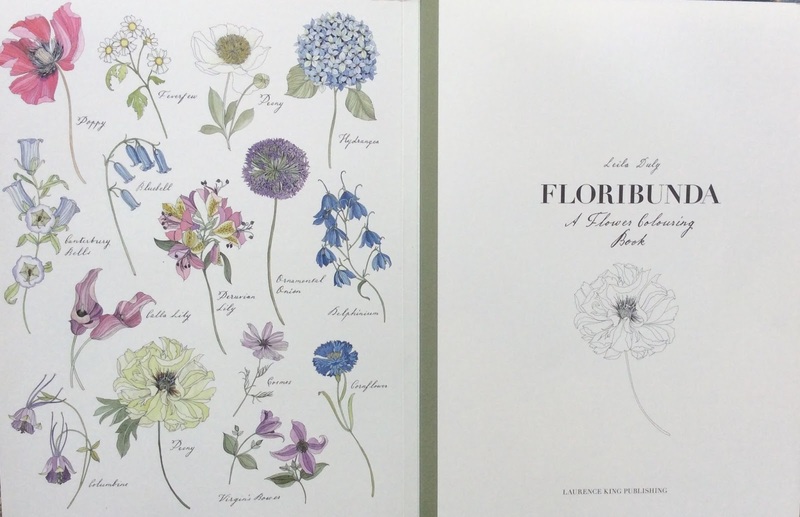 Each image gives both the common and Latin names for the dominant flowers. Beautiful script is used too. Then look at that soft olive green binding tape down the spine. Such a classy touch. The spine isn't fixed to the cover but covered in the binding tape. This means that the pages lie flat and can easily be detached as they're lightly glued into the binding tape. 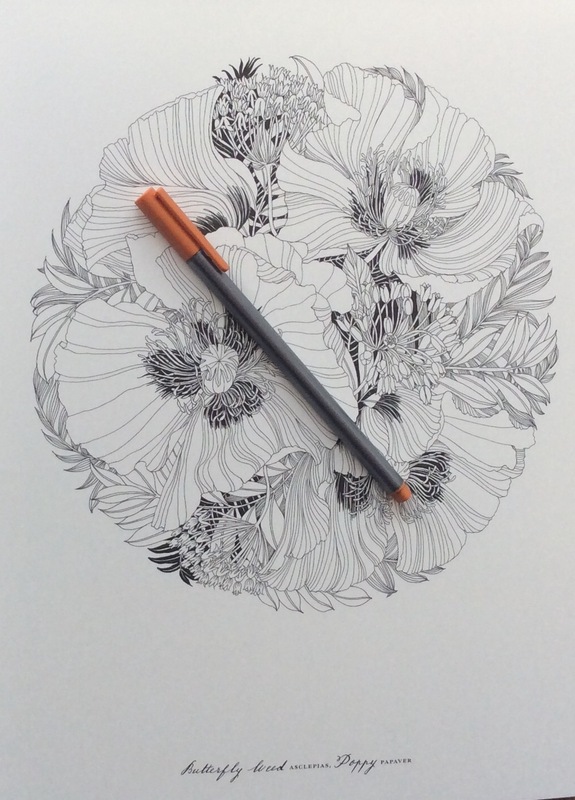 As the book is quite large overall, you may wish to detach a page to work on, to gift to someone or colour and frame. You will need to work at a table as the book is too large to balance on your knees. The paper - it's good quality, cream, card stock. I used watercolour pencils for the colouring above and they were fine although you need to be cautious on the amount of water you use. I used a Tombow blending pen. 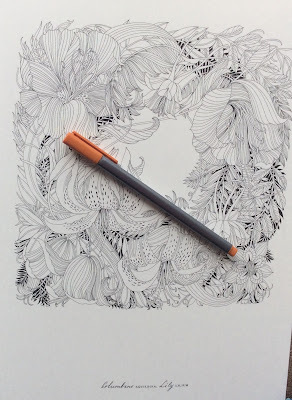 As the pages are single-sided, you can use your colouring medium of choice. 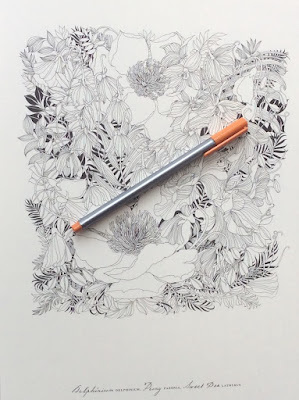 I feel that the designs suit pencils best for subtlety of shading but water-based brush pens would be effective too, and like Derwent Inktense, would give brighter colours. 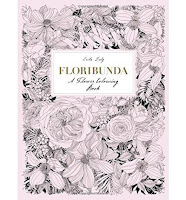 I'm not sure that you'd want to test the pens anywhere in this book as every part of it is beautiful!